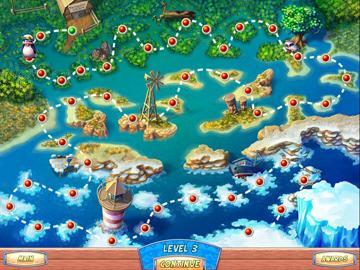 Shovel, pound and piece together wooden puzzle bridges to help your penguin friends escape to their homeland! Since these penguins are from Penguin Farm, theyve never learned to swim, so its up to you to help them reach Antarctica buy building bridges over muddy marshes and vast oceans! 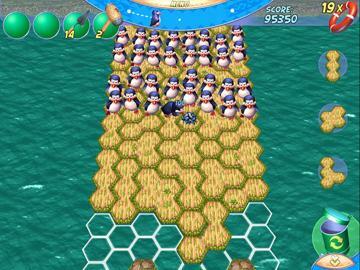 Watch out for pesky frogs and three other crazy distractions that will try to push your penguins overboard! Pick up bonus bottles along the way that contain useful powerups and points! 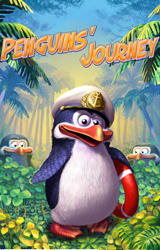 Great graphics and funny sound effects make Penguins Journey an adventure you wont forget! 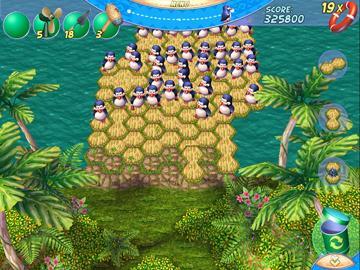 Dont leave your penguin buddies behindbuild a bridge!